Our U.S. beer trip – well, I say that, but actually it was a holiday to Disney and the Gulf Coast with the kids – but you know what I mean – the beer trip, started with a wind up. But somehow the answer was much easier, and excitement veritably bubbled up from me. “Bier and pretzels”, I confidently replied. 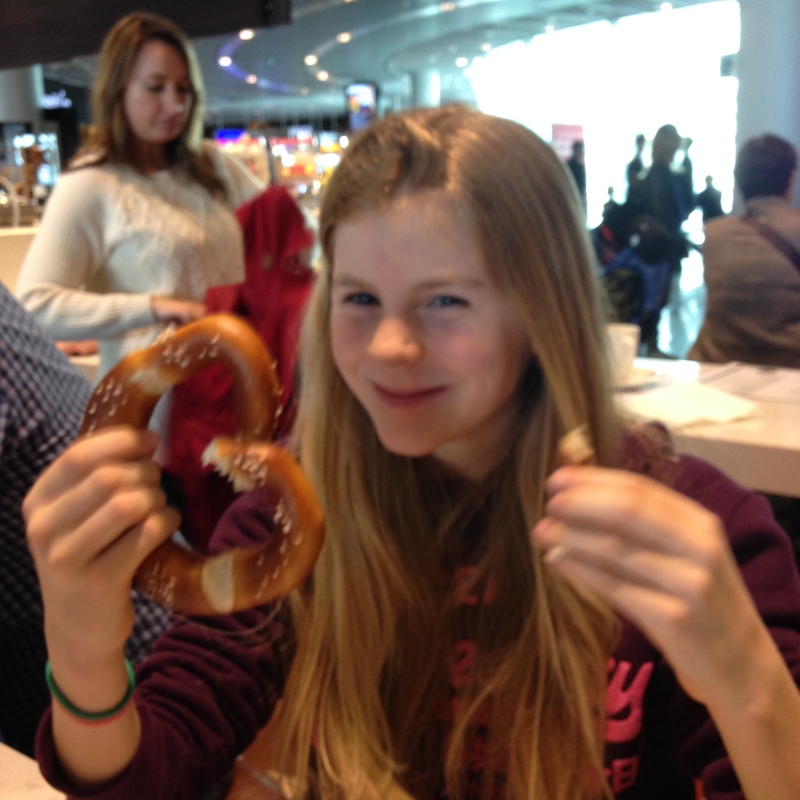 “Yes, bier and pretzels – or pretzelN,” – I stressed, always eager to fit in some extra curricular essential learning. And I meant it. Well the baked goods part in particular, them being below the legal drinking age and all that. And they could see I really was excited. I told them of Mr. Jeffers, my first German teacher, who changed from the standard first language lesson from numbers 1 to 10 and ‘hello’s’ to how to order a beer. What would the number crunchers at Ofsted think today? But I remember it to this day and that’s surely the most important thing. 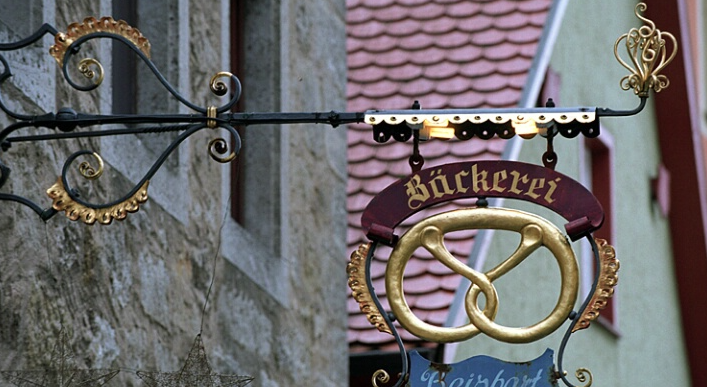 I told them of a trip to the Rhine valley when I was a teenager and seeing the bäckerei with their gold leaf pretzel signs outside and glass shelves overflowing with wonderful rye breads, pumpernickel and amazing cream cakes. I told them about my first visit to Germany, also on the Rhine valley, and going to a würst and senf festival in the town we were staying in. A country where the festival is the sausages and mustard, not the accompaniment to something else. And these were not those briney, skinny, industrially squeezed sausages you buy in tins and plopped in a fluffed up white roll. There were sausages of all colours, shapes (well, not all shapes; they were mostly sausage-like) and manner of meaty flavours, cooked over wood barbecues. I can still smell the tingle of the appley charred smoke in my nostrils and picture it drifting down the bunting clad street. And then, to top it off, the creamy, vinegary soft, spiciness of the mustard. This wasn’t street food: this was beyond that; this was deeper, more heartfelt; this was passion, German food culture and love served up on a plate. And I told them about the vine shaded beer gardens sloping down to the Danube in Regensburg with yeasty, clovey wheat beers and the accompanying oven bottom, bready sweet, dampfnudeln to fill up holes in the stomach, all presided over by a clucking Herr Ober who ruled the roost like his own front room, all clucking and full of pride. I told them too about the Cannstatter Volksfest and the Oktoberfest, but omitted many essential details. Well, that served me right. My contagious enthusiasm was passed on, and suddenly the kids are researching things to see and do in Germany (distance no object). The Black Forest; the Eifel mountains; Cologne cathedral; a boat trip on the Rhine or Mosel. Oh, and the biggest indoor swimming centre in Europe, naturally. In the end, the secret remained safe right through to the transfer desk at Frankfurt airport, where we had to check the Gate number for Orlando. My youngest was both delighted and upset. “Does this mean I won’t get to try a proper German pretzel?”. Tears were welling up and everything. So there we were, in the transfer terminal. Me with a glass of local Licher Pils, beautifully served of course, in a simple, stemmed glass and pretzeln all round: crisp, dark outers with the slash of double cream coloured dough poking through; lightly pebble dashed with rock salt for that crunchy bite. No more wind-ups now: time to get back to Germany proper.